Our roof structure is perfect for small bands or street festivals. Its special arched aluminium roof, which serves as the frame, gives it a dynamic look while allowing water to easily drain from the canopy. No more hassles with water pockets and problems associated with water build-up. PA wings allow for line array and point source rigging and the 4 curved arches allow upto 550kg of rigged lighting to be installed. 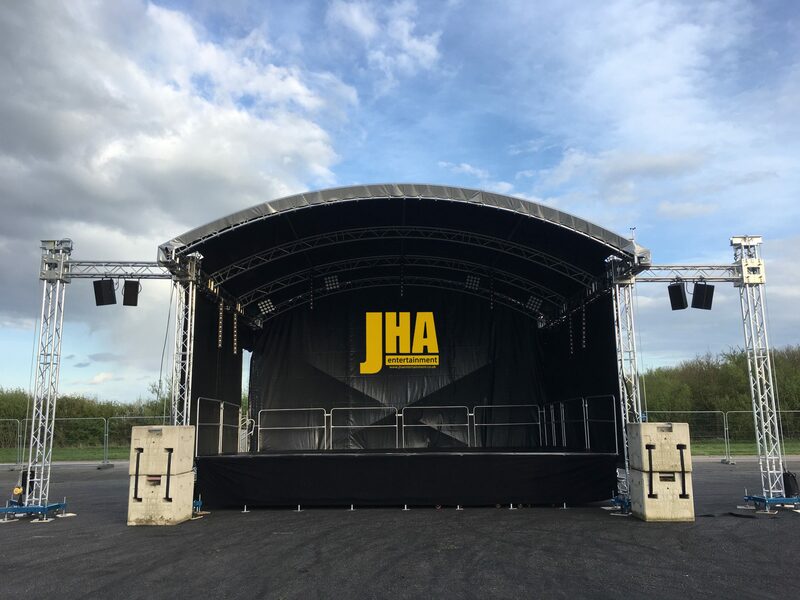 Supplied with or without 8m x 6m stage deck and rails its the perfect platform for outdoor DJ events.